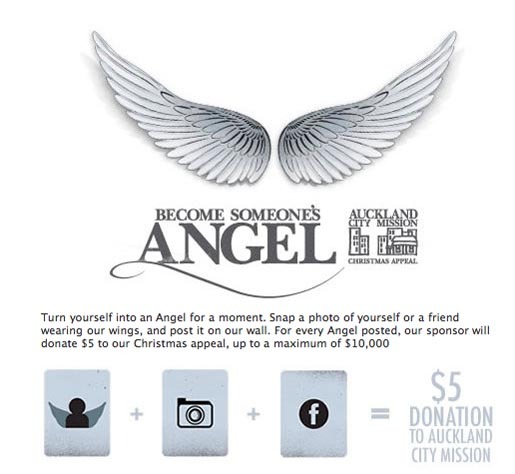 Christmas is the busiest time for the Auckland City Mission, a charity that supports families in need by providing food banks, food parcels, and medical and social services. Donations to the Mission’s Christmas Appeal ensure Christmas happens for those in need. 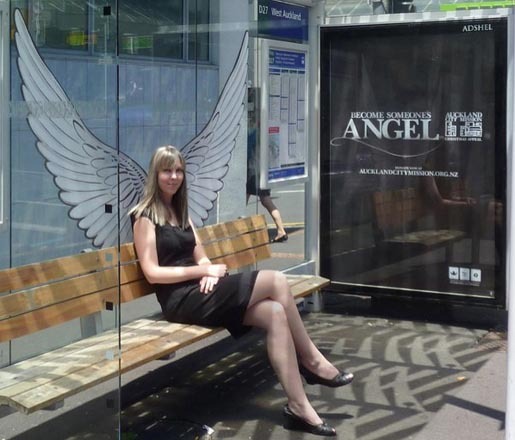 To make donators feel as important as they really are by turning them into angels, Publicis Mojo Auckland spread the city with angels’ wings through posters, ambient stickers, print, and stencils. 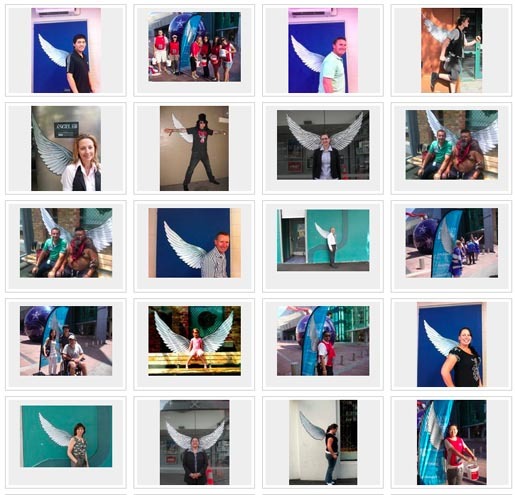 People are invited to take pictures of themselves in front of the wings they find. Then, by posting the picture on the Auckland City Mission’s Facebook page, a sponsor will donate $5 on their behalf to the appeal. 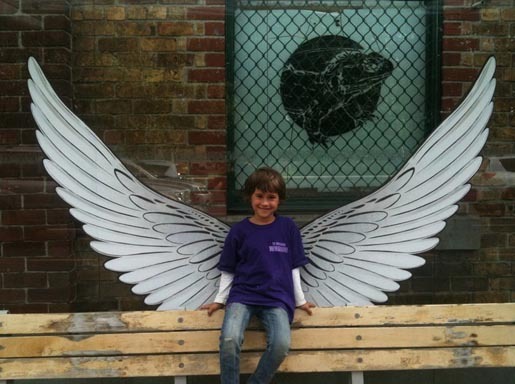 The Angel Wings campaign was developed at Publicis Mojo Auckland by creative director Lachlan McPherson, art director Jake Siddall, copywriter Sokpart Pao, designer John Christall, TV producer Rosie Grayson, head of production Conan Grobey, art buyer Andi Dearsley, digital creative director Greg Wood, digital art director Jeremy Clark, senior digital producer Rochelle Ivanson. 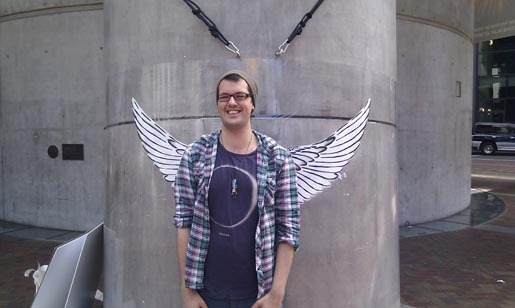 The angel wings were designed by Hayley King at Flox, Auckland. Sound was designed by Shane Taipari at Franklin Rd, Auckland, with music licensed by Jonathan Hughes. Media planner was Marcella Wijoko at ZenithOptimedia.